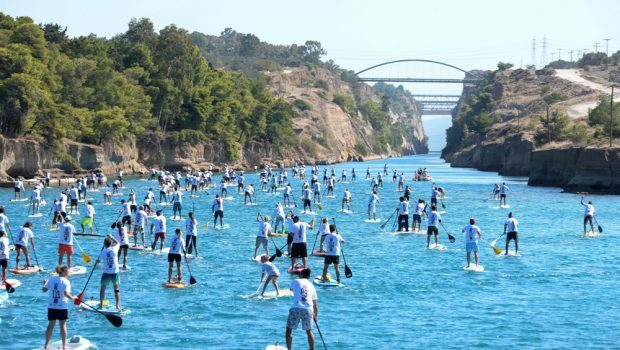 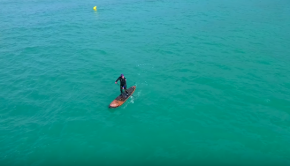 One of the most fascinating SUP race of the year, the “Corinth Canal SUP Crossing” which will take place at the famous Canal of Corinth – Greece, is just around the corner. 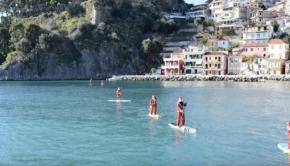 On Sunday September 30th 2018, the naval traffic of the canal will be stopped, for 300 and more Stand Up Paddlers to compete at the « World’s Straightest SUP Race ». 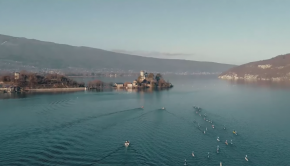 The race is really special, not only for the high competitive level, but also for the emotions that overflows every paddler when he/she stands inside this historic canal, between its 80m vertical walls. 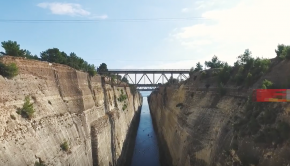 For 8 consecutive years, the “Corinth Canal” race (formerly known as “Isthmus Speed Crossing”) attracts paddlers from all around Europe and the Globe, who travel to Greece for this opportunity.